Businesses and nonprofits are required to file annual reports in all states in which they are registered. Secretary of state offices do not consistently provide reminders when reports are due. That’s where Harbor Compliance comes in. We keep track of your deadlines and manage your filings to avoid unnecessary penalties and their associated fees. 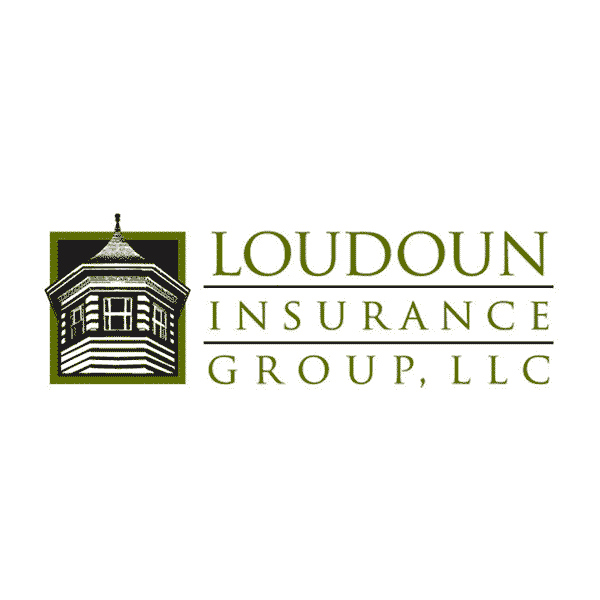 Our goal is to help you stay in good standing while saving you time and money. Filing annual reports on time is critical to staying compliant in every state you operate in. Our proprietary software tracks your annual reports based on your entity type, registration date, fiscal year, and other important variables. Your Compliance Calendar keeps track of due dates, state fees, and statuses. Plus, you can generate a report at any time. Your Compliance Specialist actually prepares and files each application for you, updating you throughout the entire process. Filing annual reports in multiple states requires establishing payment accounts with each state. We help you consolidate to one account payable with convenient payment options available. Our Specialists get filings right the first time to avoid prolonged processing time, rejections, or lapses in good standing caused by incorrect or incomplete applications. Outside of our prompt general filing services, we offer expedite options and same-day filings as needed for an additional cost. Our nationwide offices allow for in-person filing with states as needed for the fastest processing available. Think of us as your compliance partner – here to help with any licenses or registrations your organization may need. Our Specialists know state filings inside and out. We communicate with state offices regularly to monitor filings and quickly address any issues. We offer service in all 50 states and Washington, D.C. As your organization grows, easily add states of service to your account online or with your Account Manager at any time. They walked us through the whole process step by step and remained in constant communication throughout. The level of service provided by our Account Manager and Compliance Specialist was beyond EXCELLENT. They were prompt, courteous, knowledgeable, and detailed… a truly STRESS FREE experience. You will not regret hiring Harbor Compliance! An annual report is a filing that documents general information about your organization. It is required by nearly all states. While these filings are typically annual, some states require biennial filings. These are also referred to as biennial reports, periodic reports, or statements of information. An annual report generally lists the business address, registered agent, and owners and officers of the business. Are we required to file an annual report? Requirements vary by state, so it’s important to understand the requirements for all states in which your organization is registered to do business. Harbor Compliance can identify your requirements and due dates to manage filings going forward. What is the deadline for annual reports? Each state has a different deadline, and the deadlines are typically determined by factors specific to each organization. Some states require a report every year, while others require a report every two years (a biennial report). Some states such as Pennsylvania require a report every ten years (a decennial report) for all entities, while certain types of entities also must file an annual report. The deadline may be a fixed date, a date based on the date of registration of the business, or calculated by a variety of other factors. What happens if we miss a deadline? Missing a deadline can result in costly consequences such as fines, penalties, loss of good standing, or administrative dissolution. 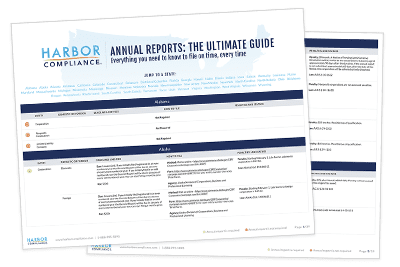 If your organization is dealing with past-due filings, Harbor Compliance can help get you back on the right path. What are the annual report filing fees? Filing fees vary by state and range from $15 to $800. The average state fee is approximately $80. We still have questions. Who can I talk to? To speak to an Account Manager, please call us at 1-888-995-5895. Or, complete our short contact form and an Account Manager will reach out within one business day. Everything you need to know to file on time, every time. Contact us to simplify your annual reports!